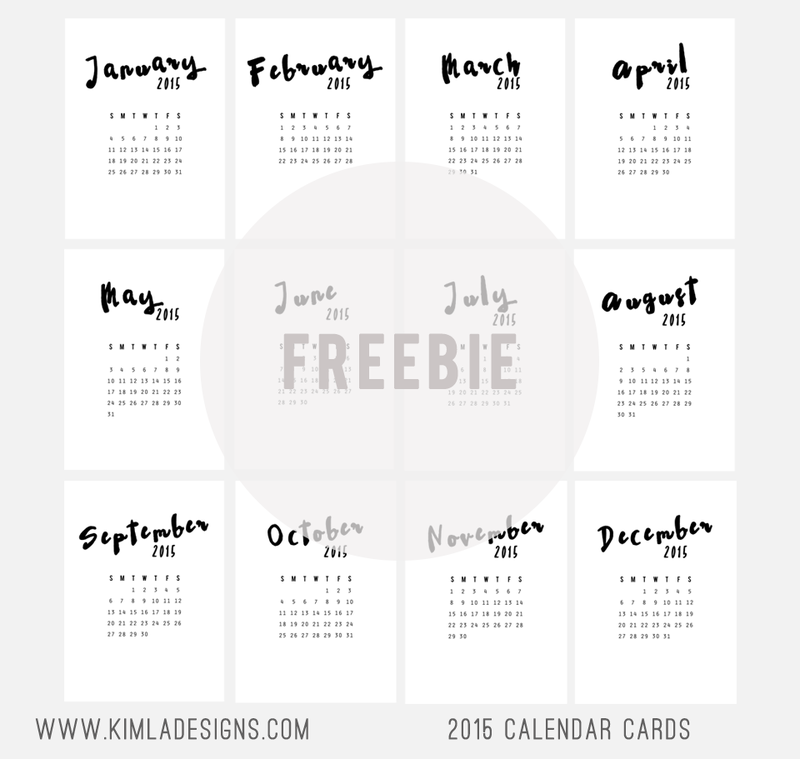 New 2015 is just around the corner and it's time to collect some cute new Journaling Cards. This set includes 12 journaling cards ( 2.9 x 4in). 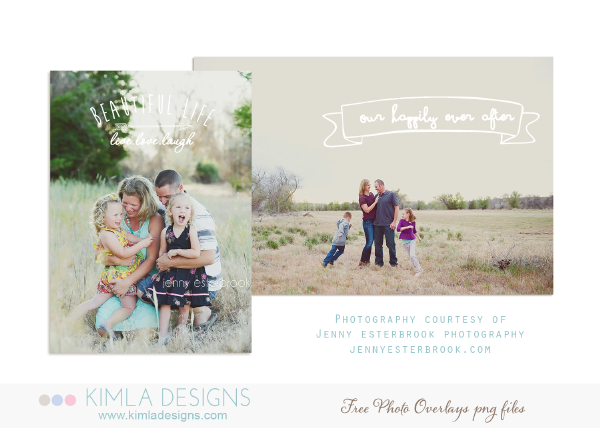 These cards will be great for both digital version/hybrid/traditional albums . 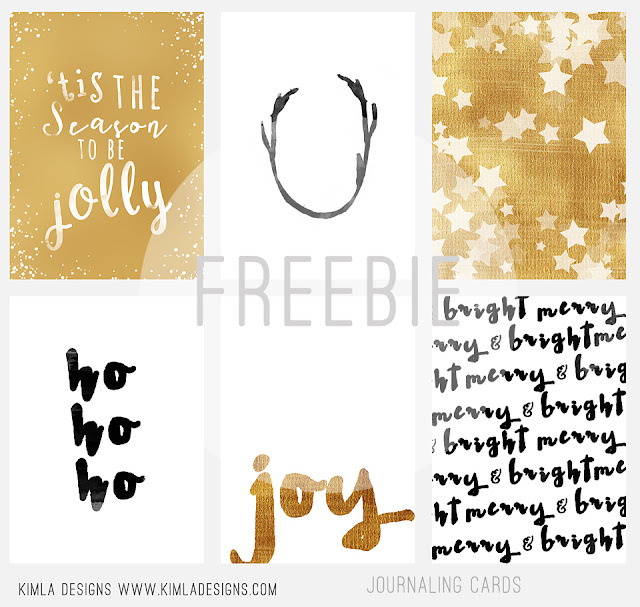 My Christmas Journaling 2015 Cards - I have made them few months ago in hopes I would be ready with my album early. I printed everything yesterday (don't laugh) and have a two pages done already. They look pretty nice. 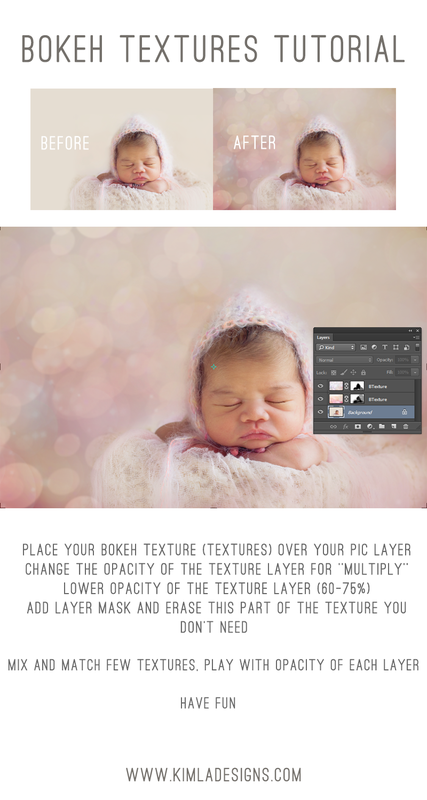 I'm getting many questions about how to use Bokeh Textures, so here it is a very quick tutorial. Hope you will find it useful. I pick one, very clean edited baby picture. I change the background very quickly and gave this image more festive look. No special tricks! 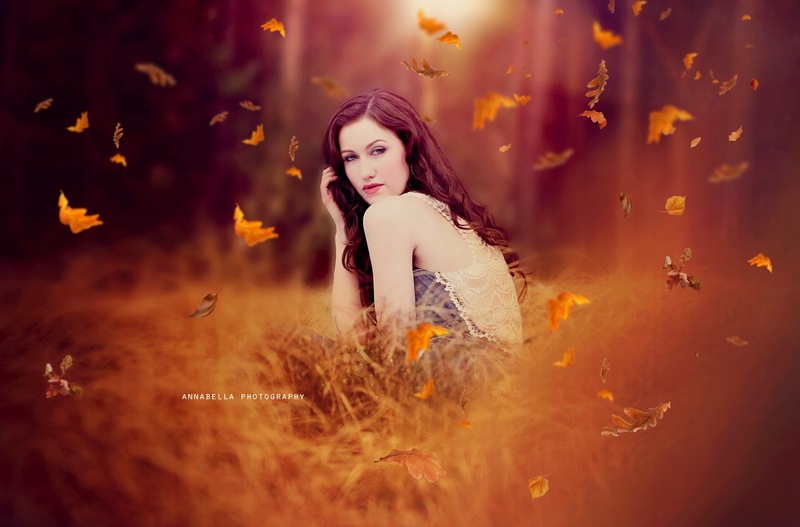 We adore these images by Ashley Campbell Photography featuring Falling Leaves Photo Overlays! Thank you, Ashley, for this gorgeous share. 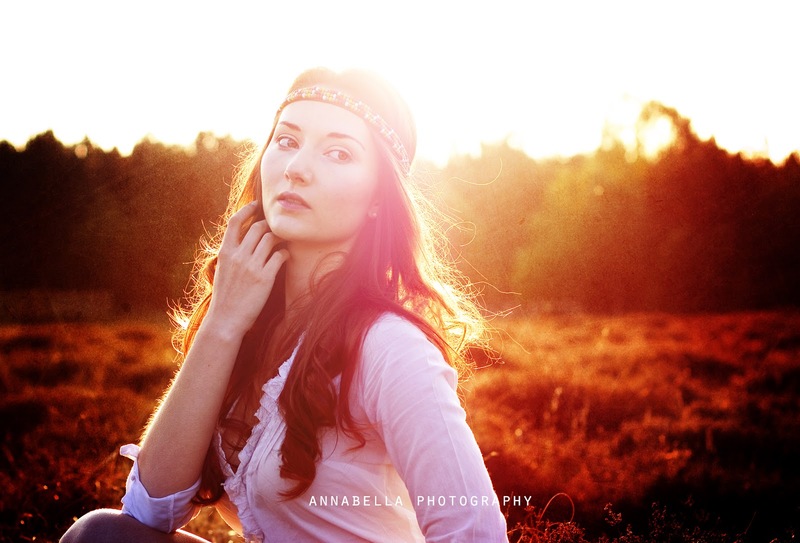 Photogs you should check Ashley's work on FB now and leave her some love! You won't be disappointed! 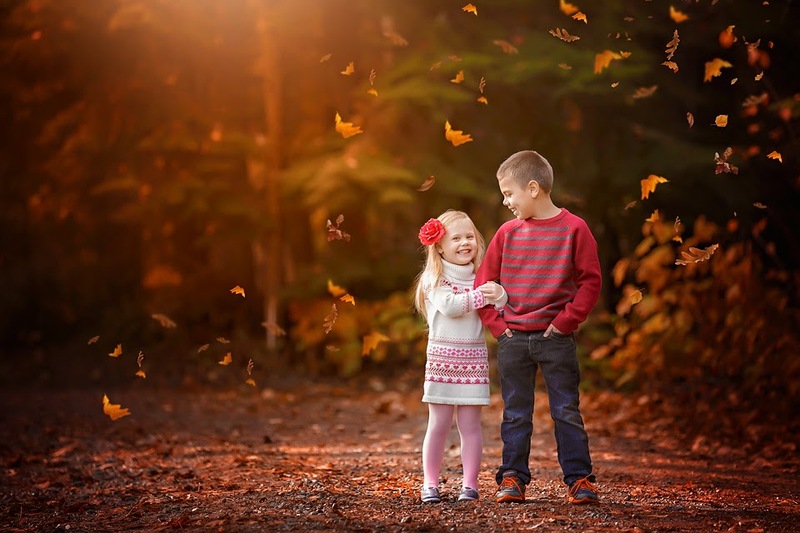 Do you have beautiful Fall session you would like to see featured? We are always looking to showcase your work here! Please get in touch! 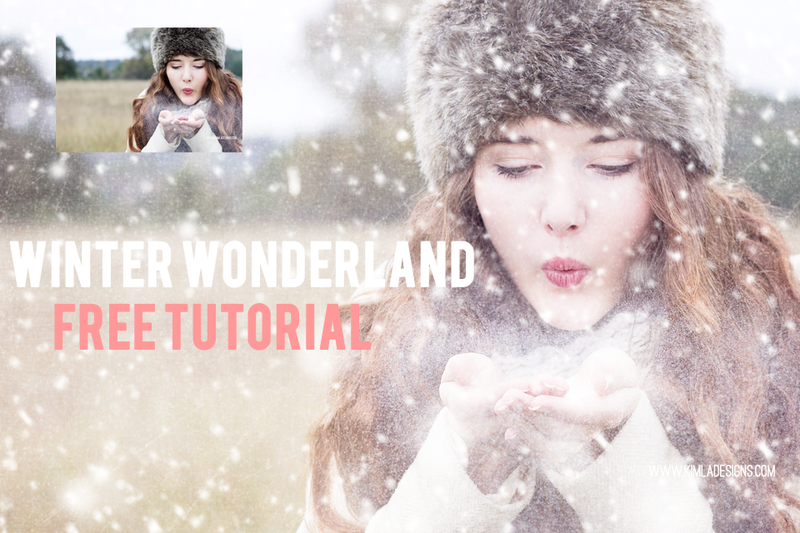 Winter Wonderland Free PS Tutorial adding a textures and Snow overlays. We don't have snowy Winters here in England, well we had few weeks of white magic last year, but still it wasn't this kind of Winter which I remember from my childhood days back in Poland. But I LOVE Snow, and this year I'm going to share this magic with you all! 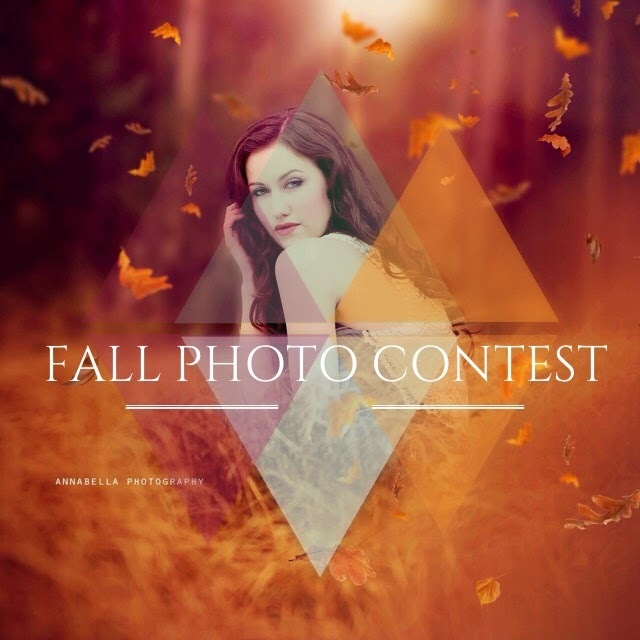 Fall Photo Contest! 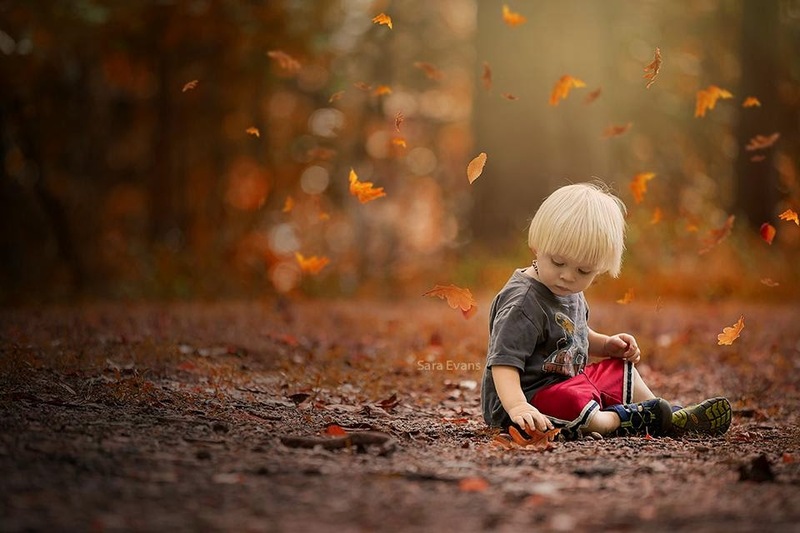 We would like to see your amazing Fall pictures! 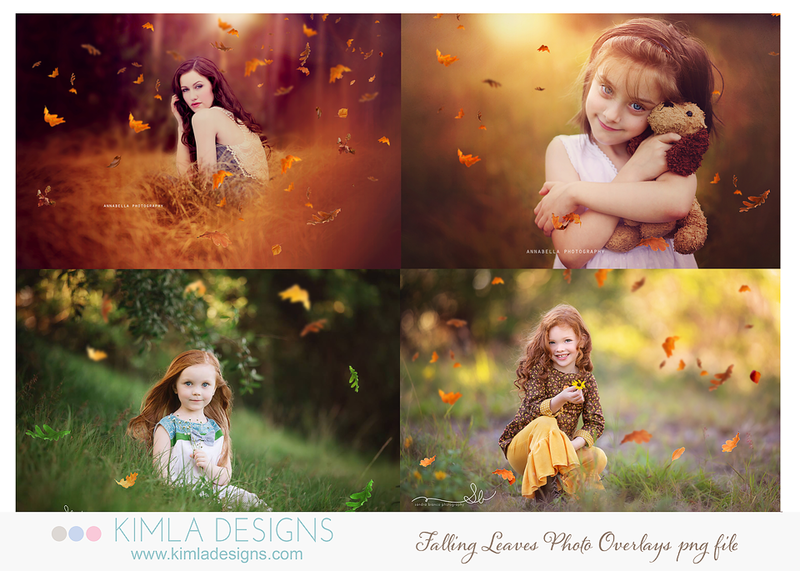 Simply follow @kimladesigns and tag your pictures #lovefallwithkimla. Contest will ends in 4 days. Few winners will get $50 GC to our Shop ! Oh how I love to see these little falling leaves everywhere now. 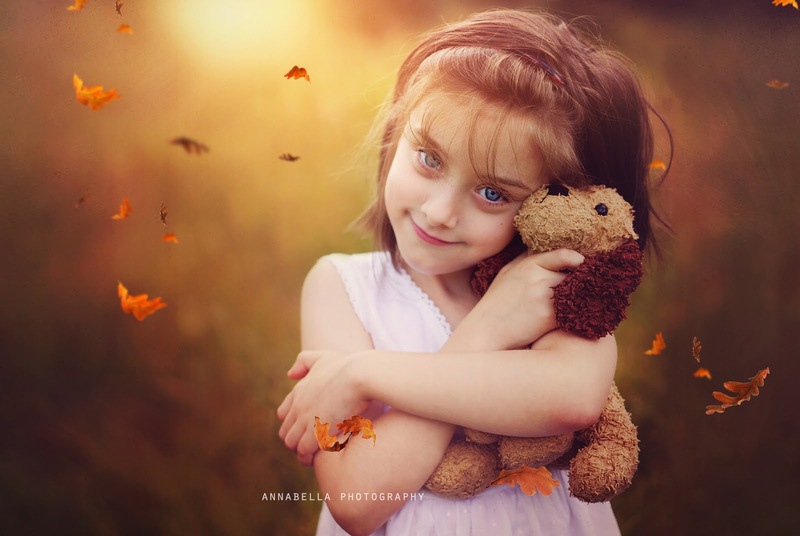 Thank you so much for sharing your beautiful work with me! 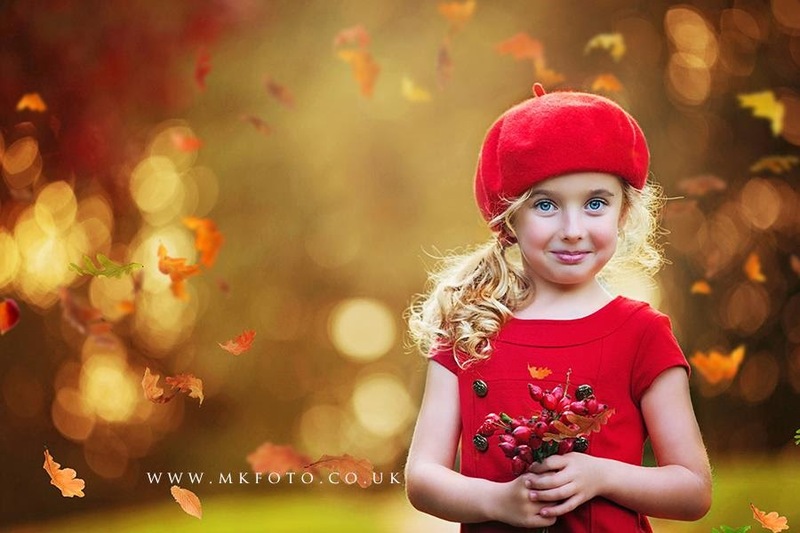 Be sure to check these talented photographers galleries and fb pages ( all pics are clickable). If you like more creative photography and like to play in Photoshop, be sure to check our shop for some beautiful and very easy to use Textures & Overlays. 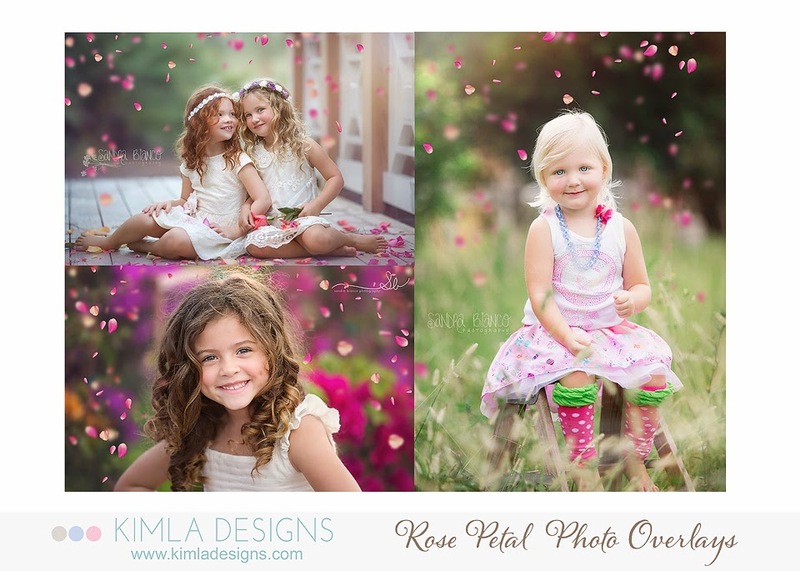 Love this new sweet pack of Rose Petal Overlays. 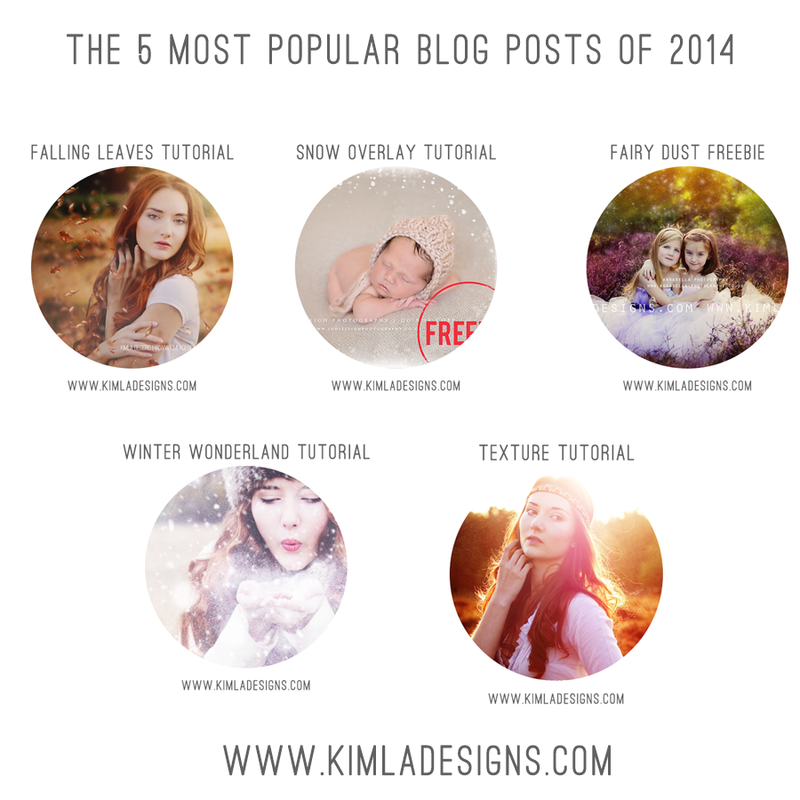 Wonder hoe to use leaf overlays? Just place overlay over your photo, erase with soft brush this part of overlay which is over the face or you just simply don't need, merge layers, resize for the web and that's it! You can mix & match them, change opacity and mode for more darker or softer look, change colors of the overlay with hue/saturation tool. I love textures, I really do, and I'm using them a lot! Wonder how I edited this image?